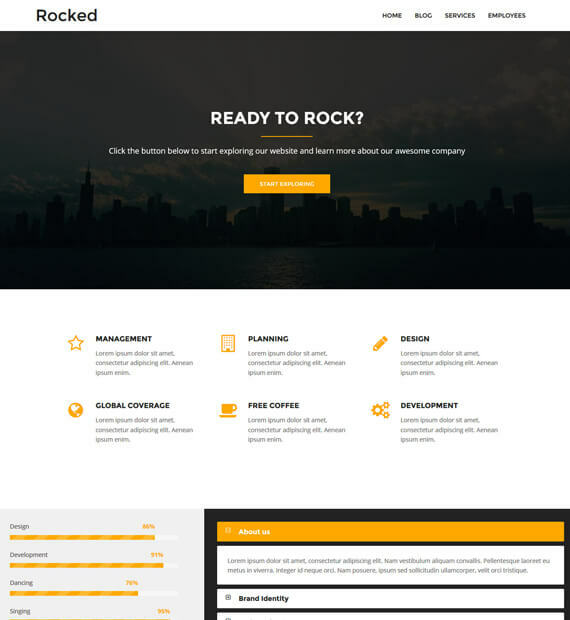 Designed by aThemes, Rocked is a Free WordPress theme that is suitable for business and corporate sites. A responsive and retina ready design that the theme features are appealing for your users to see. The customizing options for custom background, colour schemes as well as logo and the pre-defined blocks make it user-friendly. The modern and clean aspect of this theme is sure to keep your users hooked on your site and add that extra intriguing factor that your site is missing!